Whether you’re healing from a traumatic event, coping with yet another depressive episode, or trying to become a better parent, you know that progress rarely happens in a straight line. Intentional growth and healing are the results of hard work – often over an extended period of time. Positive changes don’t “just happen” and time alone doesn’t heal all emotional wounds. Most of us put a lot of effort into overcoming the obstacles in our lives and learning to be healthier, happier versions of ourselves. Often the adage two steps forward and one step back is a fairly accurate description of the change process. No one is constantly moving forward. Sometimes you take a giant step forward and obvious progress results. More likely, however, you take baby steps that are so tiny that you wonder if they’re even making a difference. The changes are so small and subtle, they’re almost unnoticeable. Other times you may get stuck on a plateau; you’re working hard and doing all the “right” things, but still, nothing is changing. And of course, having a relapse or setback is also par for the course. Let me reassure you that this is how transformation happens for most people. It’s completely normal for your path to be slow and winding, for it to stall out or take a detour. No matter what any self-help book or charismatic talk show host promises, there really isn’t any way to fast-track healing and growth. How do you stay motivated when trying to heal or change? 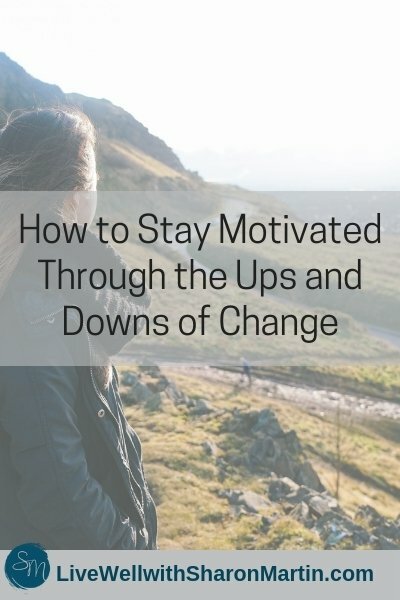 Below are some tips to help you stay motivated and energized as you try to heal and change. 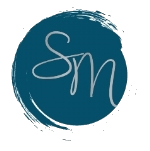 You’ll notice that much of it is about having a mindset that’s both hopeful and realistic and being kind to yourself regardless of whether you’re leaping forward or backsliding. Don’t go it alone/ask for help. Having supportive, positive people to cheer you on is key to staying motivated and being able to push through obstacles. Humans thrive on connection and we benefit from both helping and being helped. Don’t try to go it alone or lean on only one person. You’ll find that different people have different types of support and guidance to offer. So, be intentional about spending time with supportive people in your life and seeking out new connections. Your support system might include friends, family members, coworkers, religious or spiritual teachers, your therapist, doctor or other healthcare professional, members of a support group, and so on. Set realistic expectations. Unrealistic expectations (of yourself or others) are a quick path to frustration and hopelessness. First, try writing down your expectations so you’re aware of them. Next, give them a reality check. Are you (or others) usually able to meet these expectations? You might also ask some of your support people whether they think your expectations are realistic. Finally, adjust your expectations if needed. Don’t be afraid to change or lower your expectations. This isn’t a failure. Unrealistic expectations hinder growth and realistic expectations contribute to sustained motivation and success. Be kind to yourself. Whenever you’re asking a lot of yourself (whether it’s going to therapy, training for a marathon, or trying a new medication), you have to give yourself extra love and compassion. Self-compassion is proven to be motivating! You can put it into practice by saying nice things to yourself, giving yourself little treats to boost your mood, and noticing what you need (maybe more sleep or quiet time in nature) and making them a priority. Try new coping strategies. Sometimes, for no apparent reason, our coping strategies are no longer as effective as they once were. It’s helpful to keep an open mind and be willing to try some new approaches and coping strategies – even if you don’t think they’re going to work. Ditch perfectionist thinking. Change isn’t all or nothing. We don’t have to label ourselves as broken or healed, sick or in recovery, a success or a failure. We’re all works in progress. And we don’t have to perfect or 100% healed to dramatically improve the quality of our lives. Change is about progress, not And every little bit of positive change makes a difference. Be honest and accountable. Real change requires us to be honest (with ourselves and others) and to take responsibility for our actions. Sometimes we’re not progressing because of circumstances beyond our control, but sometimes we’re not seeing results because we’re not being completely honest about our thoughts and feelings and we’re not making choices that support our goals. This can lead to self-sabotage and eventually giving up. Celebrate what you’re doing right. Be sure to acknowledge each and every one of the small steps and accomplishments you make. It’s easy to acknowledge your achievements, but don’t forget to notice and celebrate your effort as well (you can control the effort you put forth, but not necessarily the results). Be patient. Of course, we all want to feel better ASAP and to be all healed up and put our problems behind us, but change doesn’t work like that. Even though it’s a bit cliché, change really is a journey, not a destination. There may be milestones in your healing that reflect significant progress, but the goal isn’t to get to the finish line as quickly as possible and then stop. Your goal is to continue growing and learning and you need to allow yourself time to synthesize new information, form new neural pathways and habits, and practice new ways of thinking. Try to maintain a sense of humor. Things aren’t going to go according to any plan or timeline that you create. This isn’t because you’re doing something wrong or because the world is out to get you or punish you – it’s just a reality for all of us. Certainly, allow yourself to feel discouraged or angry when things don’t go the way you want, but try not to get stuck in self-pity. Humor can be a helpful way to cope with setbacks. Don’t take yourself too seriously; be willing to laugh at yourself instead of chastising yourself. And seek out people and things that will make you laugh. It definitely helps brighten your mood and restore positive energy, so you can keep going. Change is hard work. 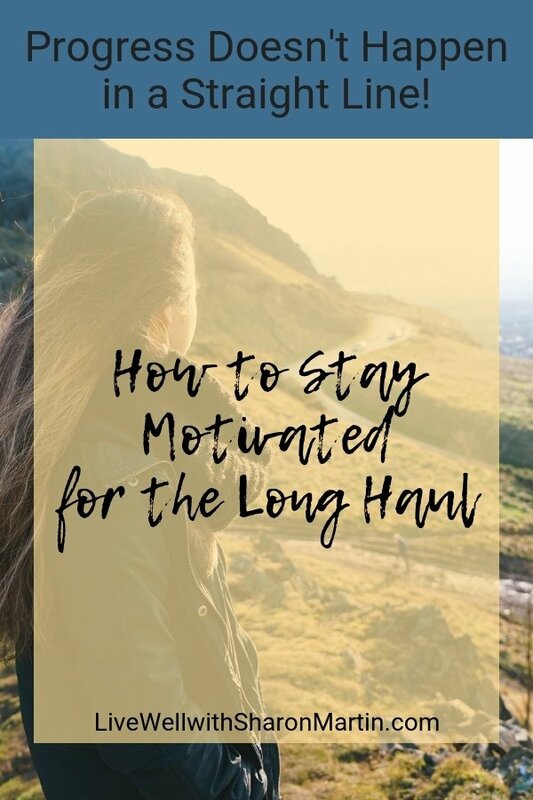 And when you’re working at it day after day, trying to overcome a long-standing challenge, heal a deep wound, or cope with a multitude of stressors, it’s not uncommon to feel stuck and unmotivated at times. I hope that some of these motivational tips will help you foster a growth-oriented mindset and encourage you to keep going. Remember all those baby steps add up!